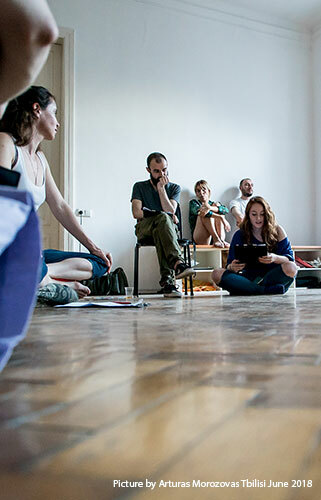 “The Others” Primera Lectura colectiva, junio 2018, Tbilisi, Georgia. Nueve personas leyeron las historias y las opiniones sobre qué significa ser el otro. Así en el living de una casa en la ciudad de Tbilisi, se leyó en nombre de otro sobre el significado de quien es uno y el quién es el otro. 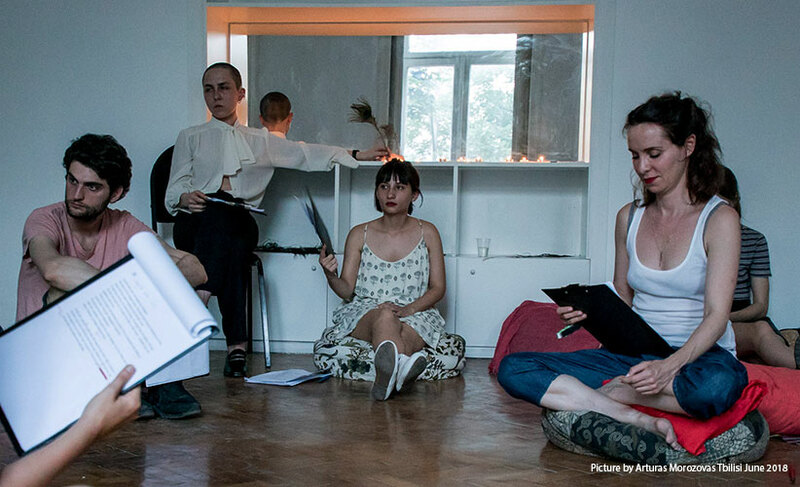 “The Others” First collective reading, June 2018, Tbilisi, Georgia. Nine people read the stories and opinions about what it means to be “The Other”. 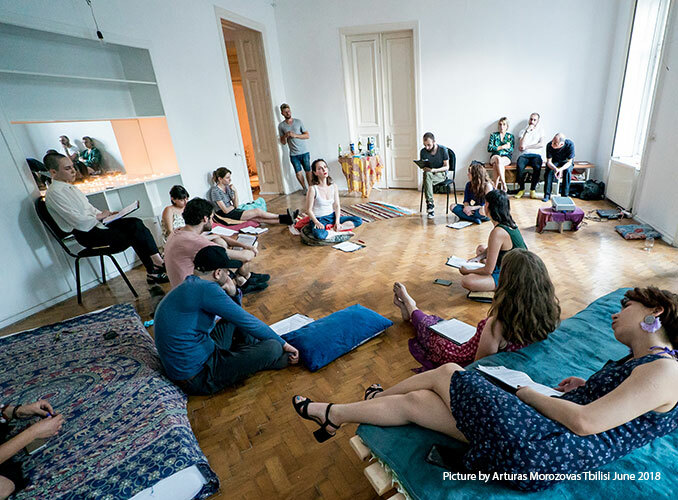 Therefore, in the living room of a house in the city of Tbilisi, the meaning of who is One and who is The other was read on behalf of Another.